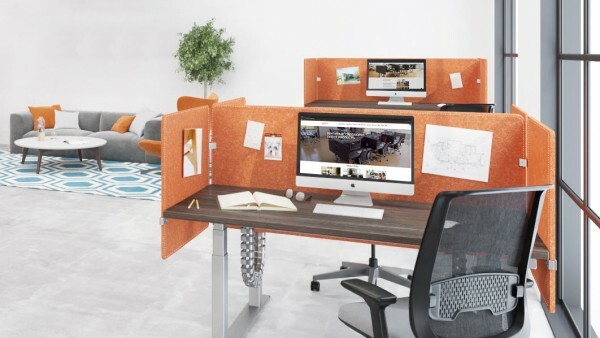 Sit stand desks are the foundation for any ergonomically equipped workspace and can be the single most effective means of achieving flexibility, maximizing comfort and increasing productivity in any office environment. 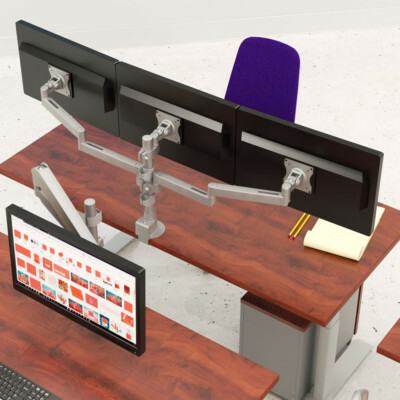 Our dual platform foot and connector system can easily convert individual sit stand desks to a benching system, with all of the essential components located just below the work surface, resulting in the most flexible and cost effective benching system available today. Standing desk converters provide a quick and efficient way to transform any ordinary fixed height desk into a more ergonomic sit-stand workspace. Workrite’s all-in-one ergonomic solutions offer a wide range of adjustability for lift, rotation and tilt. At Workrite, we believe every body has the right to work comfortably and safely. Every Workrite product is designed with the direct input of the ergonomics community and businesses just like yours, ensuring that our products provide solutions that adapt to meet the needs of today’s diverse workforce. Research indicates that changing position periodically or standing for regular intervals throughout the day can reduce fatigue and improve alertness and productivity. Follow these simple guidelines to help prevent problems from occurring while sitting or standing at your workstation. 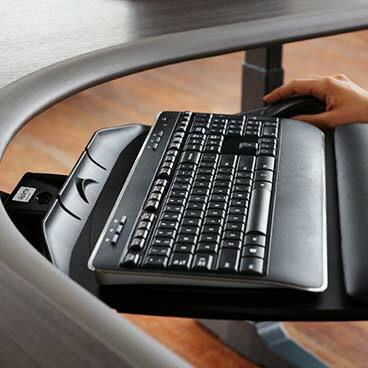 When used in conjunction with fixed height desks, or with sit stand desks featuring limited ranges of adjustability, an adjustable keyboard tray can improve the overall usability and ergonomic functionality of the entire workcenter. 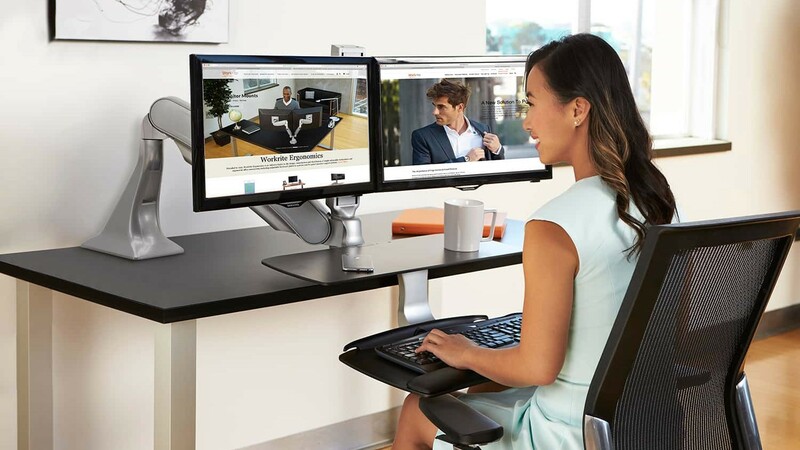 Adjustable monitor arms enable users to maintain neutral position of their shoulders, neck, and back by allowing them to position their computer screen in the perfect location and angle for their height and the type of task they are performing. Companies can reduce their power usage and associated costs by reducing overhead lights and applying proper lighting for specific tasks. 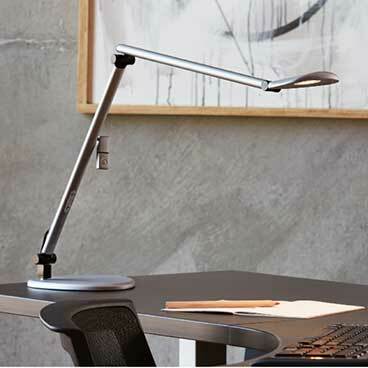 Desktop or under-cabinet task lights will also help improve user ergonomics and increase worker performance. The Line of Sight 3.0 computer desk stores the monitor, keyboard and mouse all within in the desk chassis, housing cords and cables neatly out of view. Rooms can be used for a variety of purposes increasing room utilization and saving valuable space. 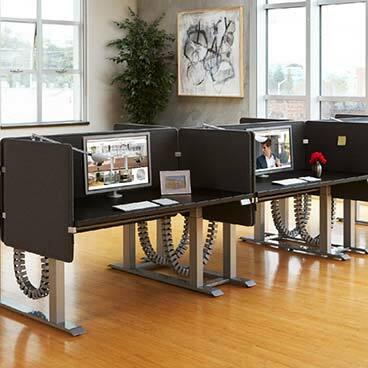 At the push of a button, all the screens can be simultaneously raised or lowered by the instructor, instantly transforming from computer desks to standard desks and ensuring valuable computer equipment is locked safely away when not in use. Tranquility Privacy Panels are designed to provide a flexible and highly effective way to control noise and minimize visual distractions, enabling users to remain focused, work with fewer distractions, and be more productive in an open office environment. 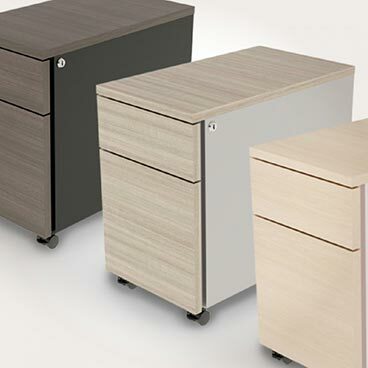 New laminated mobile pedestals come in Wilsonart laminates to match your Workrite worksurface with metal sides to match your Workrite sit stand desk base. Store all your office supplies and files in a mobile pedestal that easily slides over your sit stand base feet. 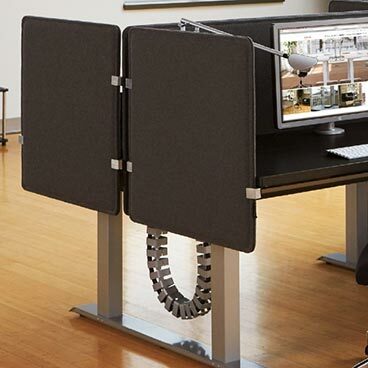 Keep wires and cables neatly contained with a variety of cable management solutions. Choose a Wire Way or Cable Management Trough that mount under the worksurface, or a Cable Manager Chain that conceals cables between the worksurface and outlet. Workrite Ergonomics is an internationally recognized leader in the design, manufacture and distribution of innovative ergonomic products for the workplace. 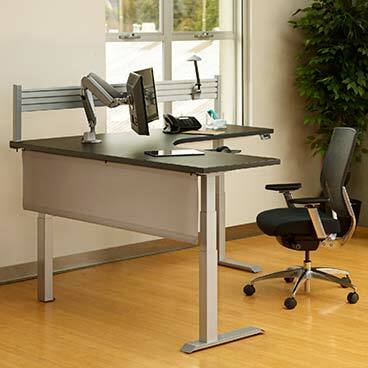 For more than 25 years, Workrite has set the standard for ergonomic office products including adjustable height workcenters, keyboard platform systems and flat panel monitor support systems. 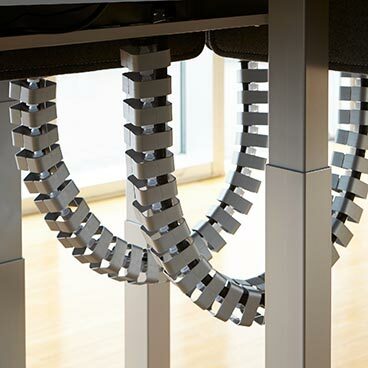 Workrite’s designers and engineers incorporate modern design techniques, the latest technologies, and the highest quality specifications in the industry to create products that are sure to complement even the most sophisticated office decor. Times change and so do office environments. 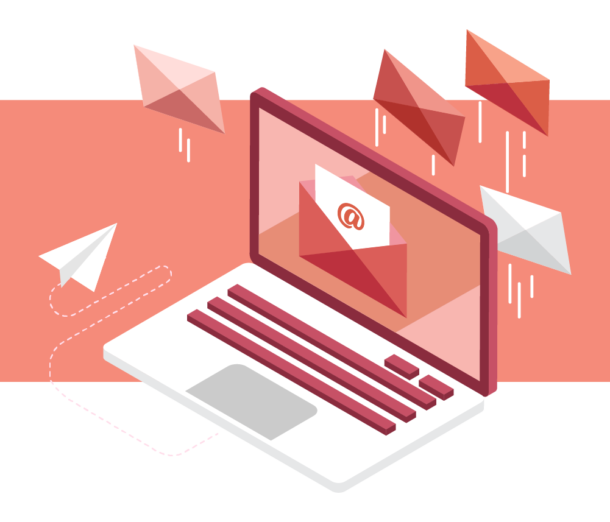 Workrite products can be easily adapted to meet the needs of virtually anyone, in any office environment, making them the smart investment for today’s most demanding and dynamic organizations. At Workrite, we understand that companies invest in ergonomics programs because they know that happy, healthy workers are more productive. That’s why our products are designed to provide a more comfortable work experience. Every Workrite product is designed with the direct input of the ergonomics community, ensuring that they enhance user comfort and productivity and are intuitively simple to use.